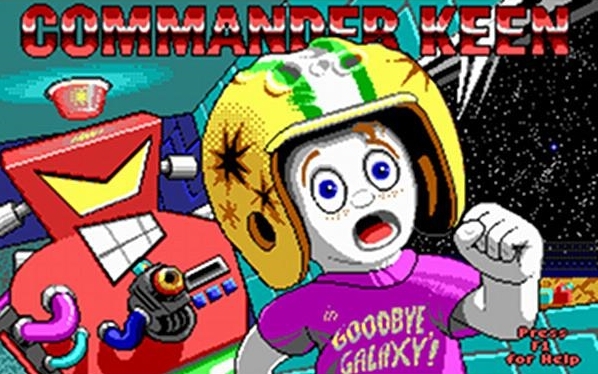 Gears of Halo has been talking about Mass Effect lately but before there was the Normandy, before Eden Prime and the Geth, before Miranda Lawson and before the Reapers, and before there was Commander Sheppard there was the ultimate Commander, Commander Keen. 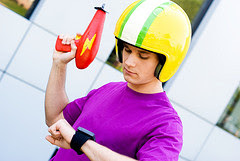 Commander Keen taught me about looking for hints and tricks in games. A secret message there, a subtle joke there. It was very original in many facets of its workings. A bit of of history of the game's birth tells that three men made it possible. Tom Hall, John Romero and John Carmack banded together in their 'off time' at a company called Softdisk but they eventually left to form the company ID. I recall the first episode was shareware which was a pretty cool idea back in the day. Indeed the 3DRealms site says "The entire first episode of Keen was released to the world as shareware. The idea was that you got a good sense of what it looks like and feels like, and if you liked it, you paid for it - and obtained the remaining parts of the game"
The game was released in December 1990 "Gamers who wanted the next two levels had to pay for them - and pay they did. In January, the ID guys got their first royalty check, for approximately $10,000." They didn't look back after that. John and Tom went on to become involved in Wolfenstein, Doom and Quake. Those three games became genuine gaming phenomenons in their own right. I think a lot of modern games such as Halo and the like have a wee duty of debt to such games. I see that Commander Keen is available for download on the Steam service - I'd buy the game if there was an ipad version! Can someone make that happen?